Fancy some virtual skydiving with Google Earth? if you have always wanted to have a go with skydiving but lacks the nerve to do it then how about a less-risky Google Earth skydiving? all you need is to agree to be slung, while putting on the gear that looks like you are heading on to a real dive off a plane at 20,000 feet high is optional. we do advise safety google as a precautionary measure. to add to the realism, you can grab a group of others to throw some wind up against you for the effect of free falling down. the above scenario was what a group of Japanese did, skydiving the Google Earth way. these guys rigged up a projector that projects the Google Earth down onto the floor and had two dudes slung above it while zooming the Google Map, simulating a freefall. much like a virtual skydiving stunt. pretty cool if you think about it. current indoor skydiving experience is cool, but if you can simulate the Earth down below – that would be way more awesome. check out the video below. it’s pretty convincing except for the dudes’ shadow. well, there’s always room for improvement. remember those days when we used to physically put our music to play? be it a 8-track tape, a vinyl record, a cassette tape or (more recently) CD. with the revolution of digital music, i can’t remember the last time i have handled another physical media to play my music. with the physical feel being missed, this guys over at IDEO came up with a working concept to put touches back to your music. the C60 Redux is basically a music player with loads of RFID readers in it (to be precise, underneath it). 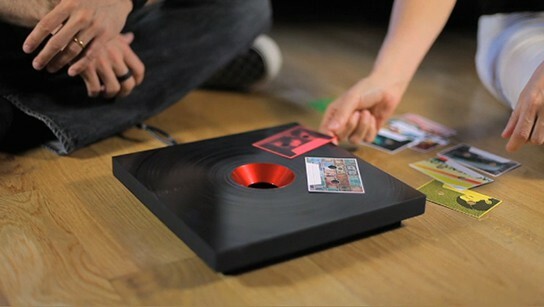 the concept, shaped like a square-off vinyl, plays the music associated with the music card embedded with two RFID tags. 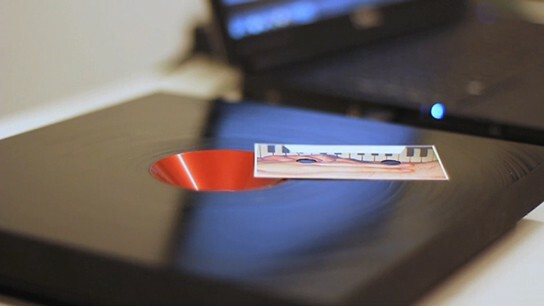 to play the music, all you have to do is placed the music card onto the C60 platter and the music will start. 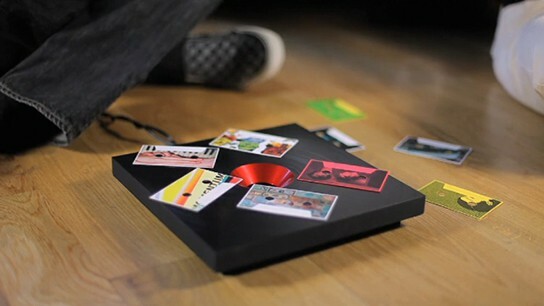 you are able to place a few music cards on the platter, and it will churn out the music in clockwise sequence. novelty? perhaps, but if the C60 makes into the market, i want to one. it is true that click and play does get boring sometimes. on top that, i am sure it will put some fun back into listening music. by now we are familiar with robot vacuum running the cleaning routine in our homes. how do you like it to roll around your house instead? that’s what designer Dave Hakkens‘ Dust Ball does. it rolls around collecting dust and dirts, and avoiding obstacles at the same time. when it is filled up, it just automatically heads back its starting point and glows. wonderful. 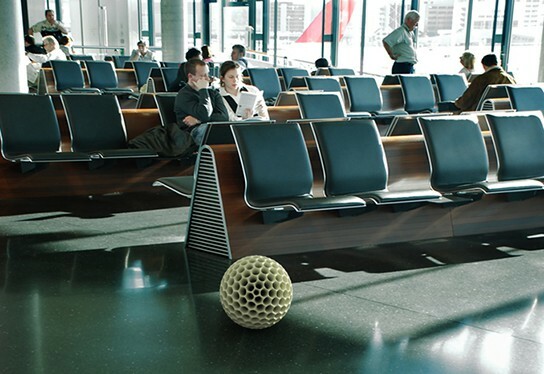 at the core of this weird looking ball of dust is a two-axis motor that moves the ball around. within this core, there is a dust containment container (much like the vacuum bags), a battery pack and other electronics circuitry that makes up the whole thing. check out the cool video which looks pretty convincing. 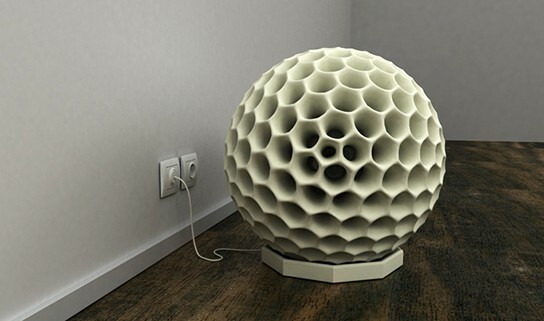 Dave Hakken got his inspiration for the Dust Ball from a hamsterball and the Dust Ball was designed to be strong, flexible and most importantly, would be able to get over any cables that gets in its way. apparently, Dave has Dust Ball for public places in mind. 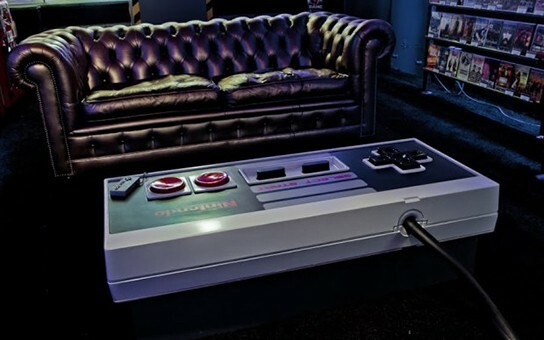 oh, and its completely kick-friendly. it certainly looks cool, you know the design and concept, but i am not all that sure if its practical. rolling around with no bristles to scrub off more stubborn dirt? i don’t know. but it sure do looks like a nice lamp to me. i love the glowing part. really. Dust Ball from hak op de tak on Vimeo. this grouped of Chinese decided to take up a challenge: to convert a 9 meter square container into an intelligent home controllable by a mobile phone – in this case, its a Nokia N8. it took them three months to complete the project at a cost of RMB120,000 (approximately US$18,000). it was a great effort and showcased the potential of the Nokia N8. though the whole project went on smoothly and everything seems to be in order, the reality still haunts us: what happen if your N8 or any other mobile that mastermind the intelligent home, conked out? wouldn’t that be a huge disaster? if this intelligent home were to become a reality, i am certain some form of fail-safe will be in place to prevent such failure. yes? no? it seems like Kinect has more potential than just for gaming, which i supposed Microsoft should be proud of. this particular quadcopter, dubbed the Pelican UAV, is rigged with the Kinect, which serves as its ‘eyes’ by sending visual data to a Linux box onboard. this flying machine is thus capable of flying autonomously following the predefined waypoints, maintaining its own altitude and avoiding obstacles along the way. this Kinect-rigged quadcopter is part of the STARMAC project of UC Berkeley’s Hybrid Systems Laboratory which is a multi vehicle testbed used to demonstrate new concepts in multi-agent control on real-world platform. this is really awesome and besides, using Kinect on this flying machine sure beat the hell out of trying to look silly in front of your TV. remember the movie AVATAR (Twentieth Century Fox, 2009)? those commercial alien-mineral diggers were viewing a holographic map of the Na’vi tribe’s dwelling area? well, this innovation from Zebra Imaging works something like of sort. the best part is, you have wear those ugly 3D glasses to see them in real 3D – with depth. not that those guys over at Pandora are wearing any though. 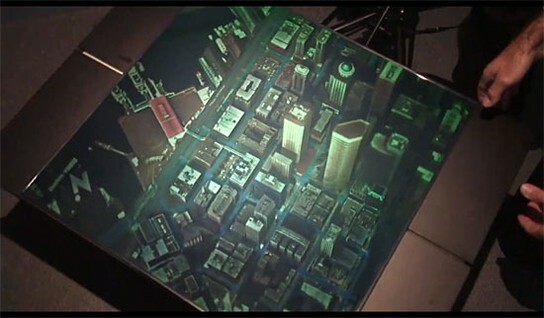 i don’t really think holographic imaging is suitable for TV (i can’t imagine the headache i will get with so many layers of activity going on at the same time) but more for mapping, just like what they did on the Pandora. perhaps an excellent idea for landscape planning, rescue mission planning, battle field planning et cetera. just don’t use it for illicit activities such as snatching other being’s resources. check out the videos below. it really look awesome. we are accustomed to robotic arms assembling cars, but what you don’t see often or even at all, is a robotic arm that debone pork. 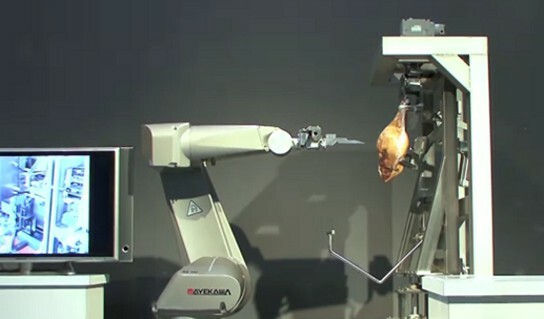 this specialized robotic arm, known as the HAMDAS-R, has a sharp knife on its end, instead of a grapple or robotic fingers. it is designed specifically for deboning of pork which is a task that, to date, only human can manage due to the variations in form of pork. the HAMDAS-R has the ability to determine the variations and debone swiftly and accurately. kinda cool, except that if this robots are employed, i am sure there will be placards touting workers amassing in the streets in protest. just don’t add any more Artificial Intelligence than necessary to it, and please excludes any form of legs or wheels as well. we hate to see this thing chasing after us just because we made some silly comment about it. we going to have a ‘no-post’ for a couple of days due to some administrative effort on the backend. sadly, you won’t be seeing any physical changes to the blog after these two days, though. however we promise to do a facelift once we have reached a ‘reasonable’ traffic level. on a side note, we are glad to receive more than 100,000 hits over the last three weeks. we will be making use of the next two days to gather up more useful, fun and ‘life-style centric’ articles for everyone out there. we believe there are like minded people like us who believe in gadget-tech-lifestyle fusion and we don’t need to go all technical or dwell into emerging trend – we just want share the wonder of life with of gadgets, technologies and lifestyle. so just hang in there. 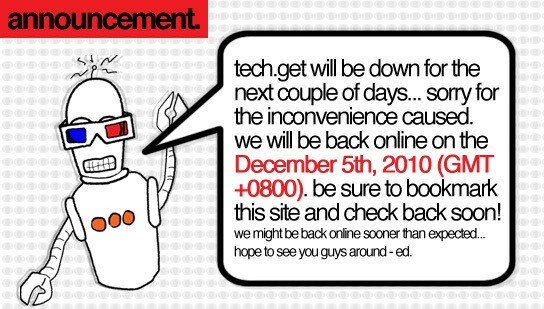 we will be back posting in no time. cheers! – ed.